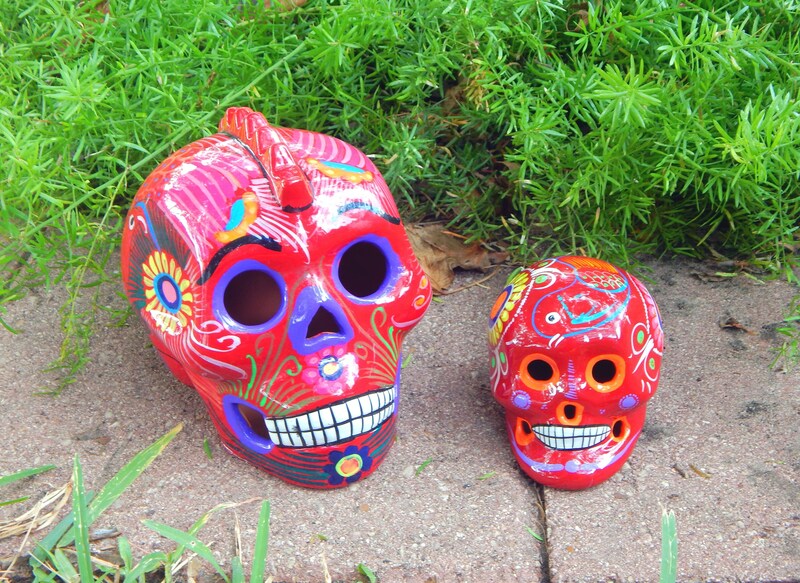 An AMAZING vintage set of Sugar Skulls in Red, the largest one sports a mohawk. 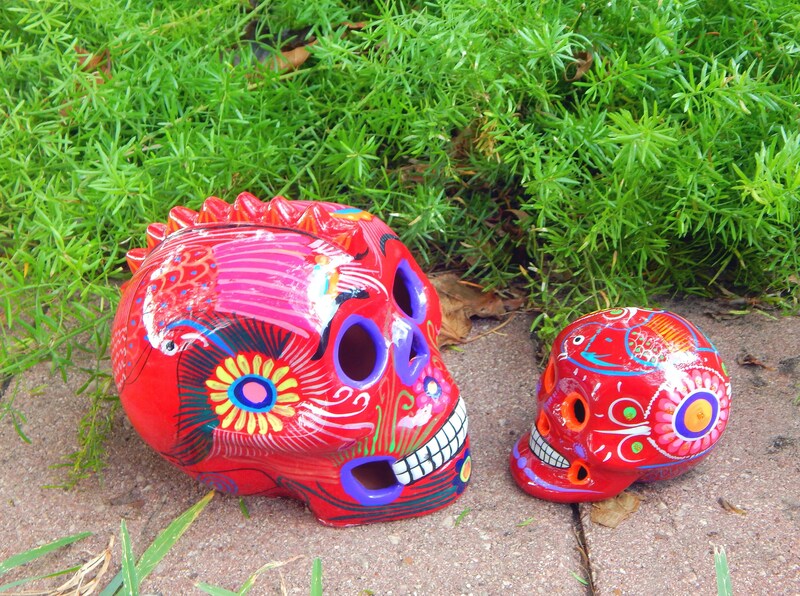 A perfect edition to your altar, Halloween Decor or Dia de los Muertos celebration, this pair are sure to be great conversation pieces! The largest Skull stands 6' inches tall and is about 5 inches from brow to the back of his skull. 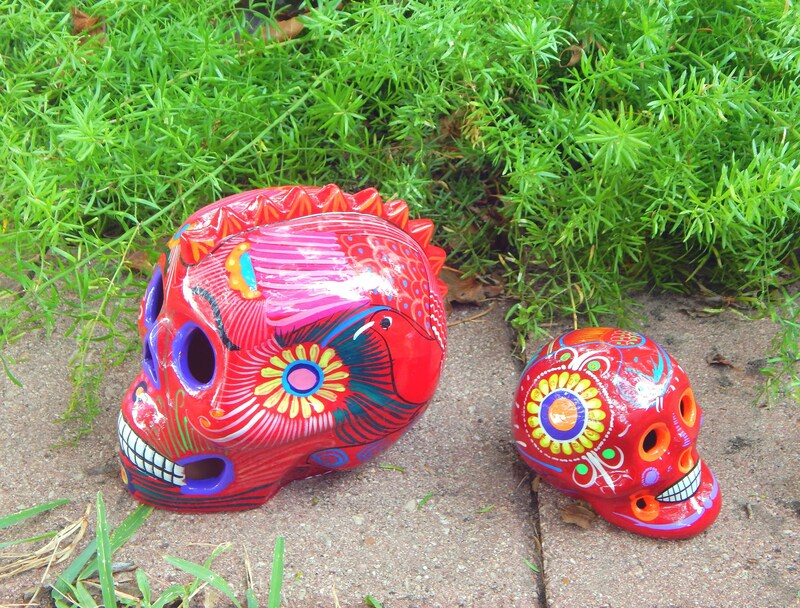 The small skull is approx 3 inches by 2.75 inches. Both have matching red and purple detail paint jobs with hand painted floral and bird scenes as shown. Purchase before 10.23 and have it by 10.31, in time for the Holiday.